Today is the 35th anniversary of Elvis’s death. 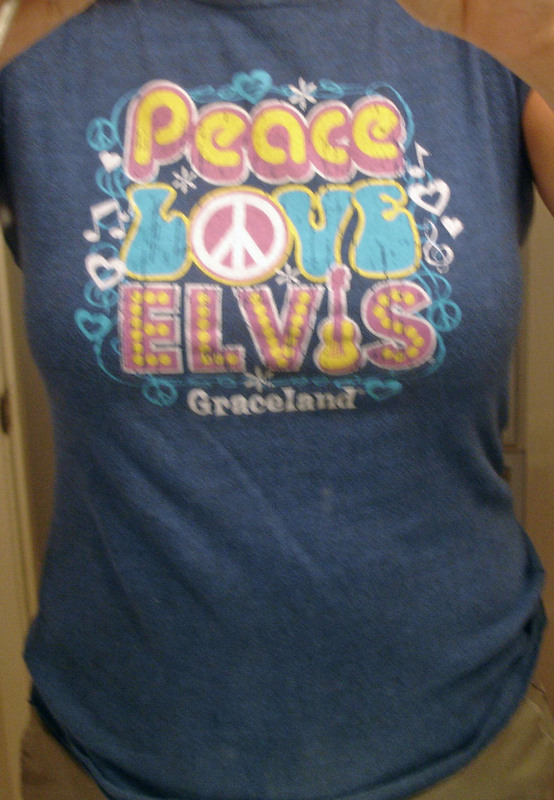 In honor of the King Of Rock ‘n Roll, I donned my Elvis t-shirt I got at Graceland when Ryan and I went for our anniversary in 2009. My trip to Graceland was one of the best trips of my life. I couldn’t believe I was walking where Elvis walked. I so wanted to take something from Graceland and stuff it in my pocket, but I knew that would be frowned upon and I really didn’t want to be on the banned list at Graceland. 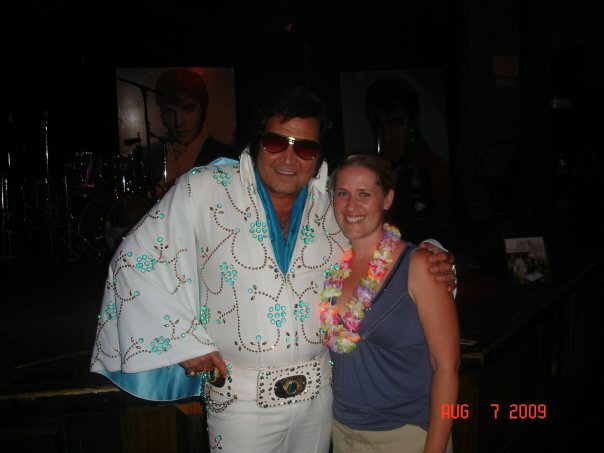 One of the better Elvis impersonators was this guy: I didn’t want to go up and have my picture taken with him because I was afraid that his talking voice wouldn’t sound like Elvis’s and it would have ruined it for me. As it turns out, he was staying at the same hotel as we were. During happy hour later that day, I sat and stared at him, but still kept my distance so I couldn’t hear him talk. Who knows what music would be like today had Elvis not died. 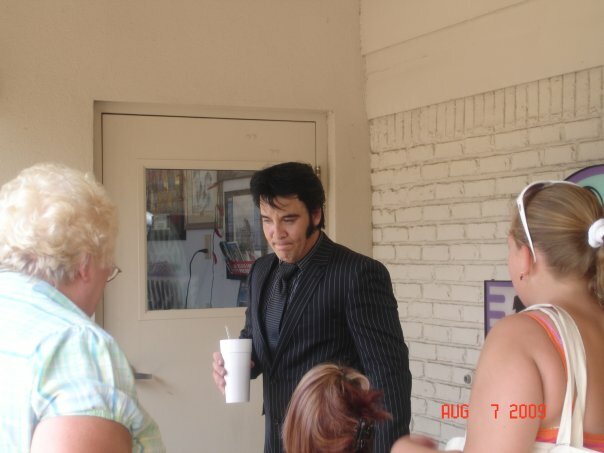 Who knows how Memphis would survive as a city had Elvis not died. Who knows who would make me smile like this if Elvis had not died. 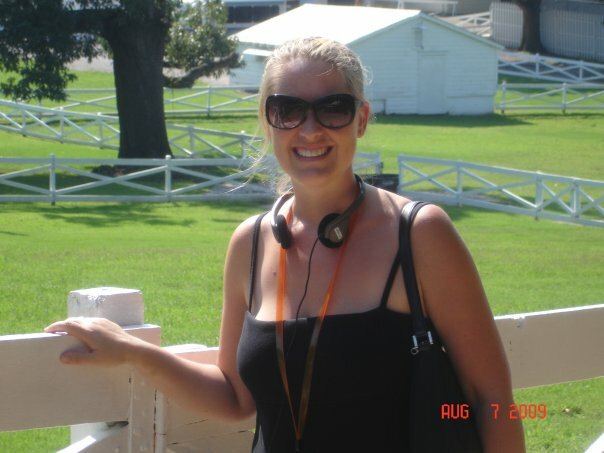 This entry was posted in Miscellaneous Ramblings and tagged Elvis, Graceland, Memphis by Amy. Bookmark the permalink. Thanks! I had gotten both of my kids Elvis shirts too, unfortunately, they have grown significantly in the last 3 years, but I saved them so they could pass them on to their kids.